When Outlier Media founder Sarah Alvarez explored how to reach more Detroit residents to share information she looked beyond newsprint and websites, traditional ways of delivering news to the public. 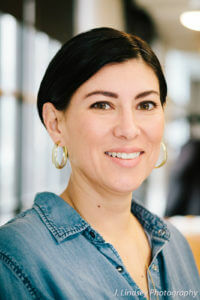 Alvarez wanted the new media company to reach underserved residents and communities with lower incomes than she had been able to connect with in her previous job in public radio. Armed with research about what Detroit residents said they need most — affordable, dependable housing — Alvarez came up with a new way to connect with citizens: via text message. Outlier sends information about property ownership and tax payments to hundreds of Detroit residents and also asks them to send requests for information they would like to receive. If a resident wants to know whether the home they are renting has been inspected, Outlier provides a personalized answer. Outlier now is answering residents’ questions about utilities, supported with a grant from the Detroit Journalism Engagement Fund of the Community Foundation for Southeast Michigan. Alvarez can focus on utilities while four freelancers continue to address housing questions. Among the high-impact stories Outlier has produced is a report on why sewer fees are so high for Detroit residents. The media outlet also has researched a computer glitch that may have triggered shut off and noncompliance with payment plans notices to Detroit Water and Sewerage customers. “If Outlier can make the model that worked in housing work for utilities that would be incredible,” Alvarez says.